Zelenogradsk - resort city located on the coast of the Baltic sea, just 32 kilometres from the centre of Kaliningrad. There is no airport in Zelenogradsk, there is also no railway line connecting the city with other regions of Russia and Europe. Therefore, you can get to Zelenogradsk only through Kaliningrad - Khrabrovo airport or from the city center. Khrabrovo airport is 13 to 20 kilometers from the center of Zelenogradsk. From the center of Kaliningrad to Zelenogradsk and can be reached by taxi or car. - the third way. Departure from Kaliningrad across the street Alexandra Nevskogo. Next go on the road А191. After some time, it will be a pointer to Orlovka. Go right and follow to Orlovka. Go anywhere without displacing, passing the Malinovka, Morschanskoe, Kaschtanovru, Muromskoe snd Sosnovra. Next - Zelenogradsk. Trains from the centre of Kaliningrad to Zelenogradsk, as well as from Zelenogradsk to Kaliningrad city centre, runs daily, several times a day (in the summer more often). Trains to Kaliningrad leave from South station to which interregional trains arrive from "big" Russia, then passing North station (Kaliningrad-North), located near the Victory square, in the heart of Kaliningrad, at the address: Sovetskaya St., 2. Travel time 27-50 minutes. The schedule of the trains you can specify here (left a form to fill in the route-finding). 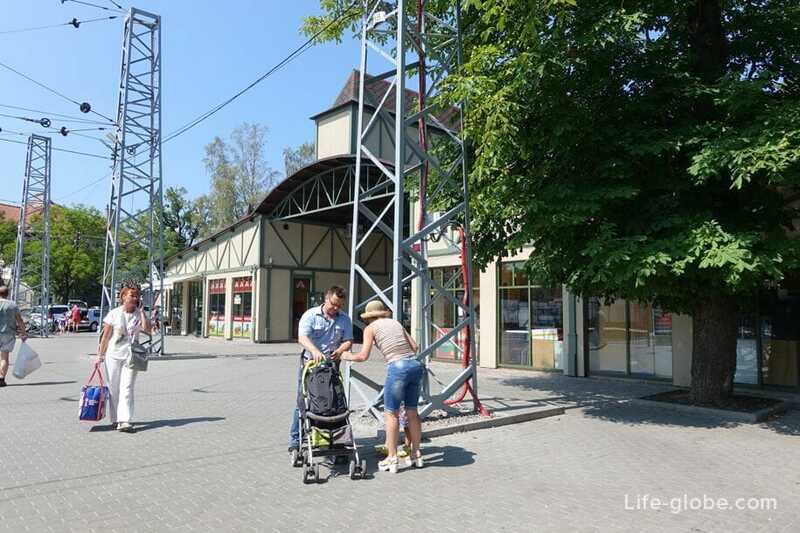 The train will take you to the Train station Cranz in Zelenogradsk, located at the address: Vokzalnaya, 3, in 300 metres from the historic centre of Zelenogradsk and 450-600 metres from the main beaches of Zelenogradsk. 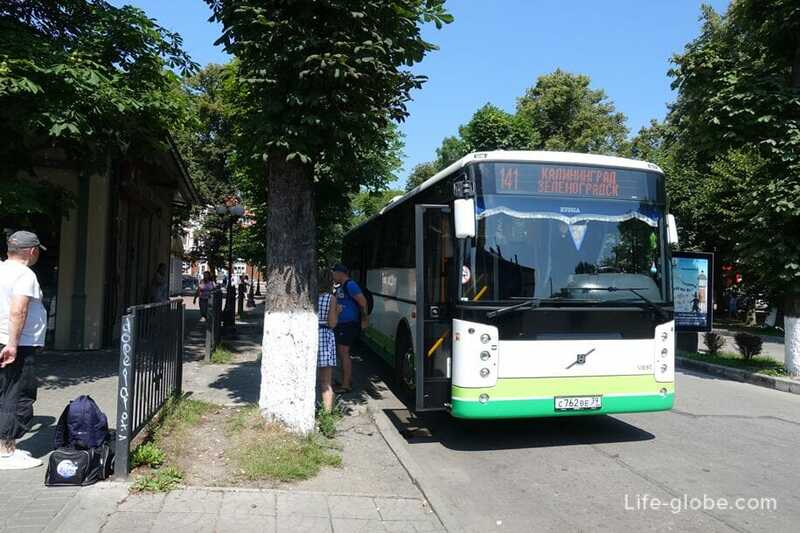 Public buses from Kaliningrad to Zelenogradsk run daily flights a lot, especially in the high summer season. There are like Express trains, and ordinary public buses. Buses depart from the bus station of Kaliningrad, located within walking distance from the train/railway station South, + make a few stops in the city centre. The fare from 84 rubles one way. Tickets can be purchased at the box office the bus station and on the bus. The journey time is approximately 55 minutes - 1 hour and 15 minutes. The bus schedule can be clarified here (the right form to fill out for finding a route). 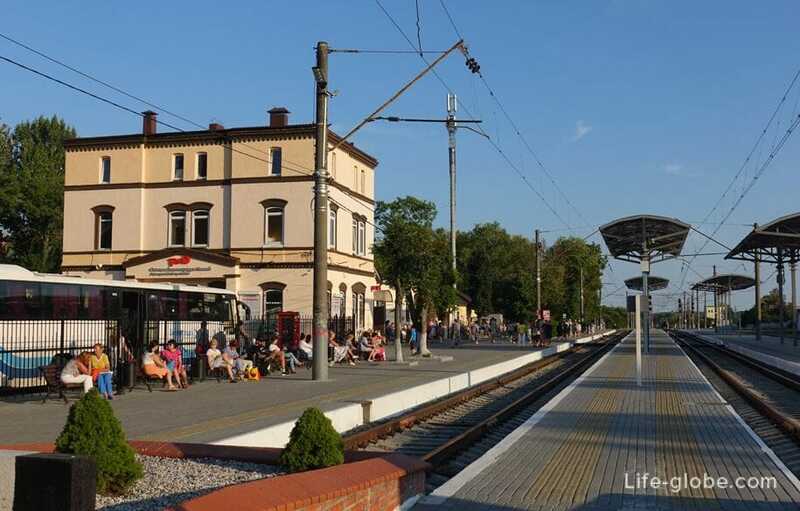 The bus takes you to the bus station of Zelenogradsk, located at the address: Vokzalnaya street, 2, which is within walking distance of the railway station in Zelenogradsk. If you plan to stay in Zelenogradsk, you will need to book your accommodation (a hotel room). There are hotels located directly on the beach and in the center of Zelenogradsk, as well as those that are distant from the main tourist routes. All accommodation in Zelenogradsk you can view and book here.